Headquartered in Centennial, Colorado Scottish Home Improvements provides windows and siding services to the entire Denver metro area including Denver, Aurora, Arvada, Lakewood, Thorton, Westminster, Brighton, Broomfield, Commerce City, Englewood, Federal Heights, Golden, Greenwood Villages, Highlands Ranch, Ken Caryl, Littleton, Northglen, Parker, and Wheat Ridge. Impressed with how well they communicated, they were on schedule and there were no surprises! I had a very good experience with Scottish Home Improvements. Rigo, the Project Manager, answered all my questions fully, and answered ones I didn’t think of. Communication was very good, over email, text, and phone — however I wanted to communicate that day. Felipe, the foreman on site, was always accommodating and responsive to my questions and comments. They even re-did one area that I wasn’t satisfied with. My house looks like new with the Hardie siding complementing my red brick siding. I replaced some old metal siding with Hardie. The whole process with Scottish was very organized and methodical. Just like I like it. Rigo even helped me out with some existing soffit issues I had, even though it didn’t involve Hardie products. Project was completed earlier than expected. We were informed about every step of the project. Employees worked full days, always with a positive attitude. Worksite remained clean throughout. Rigo, Vince, and our foreman were more than helpful, communicative, and informative in our siding project. I’d like to very highly recommend Scottish Home Improvements. 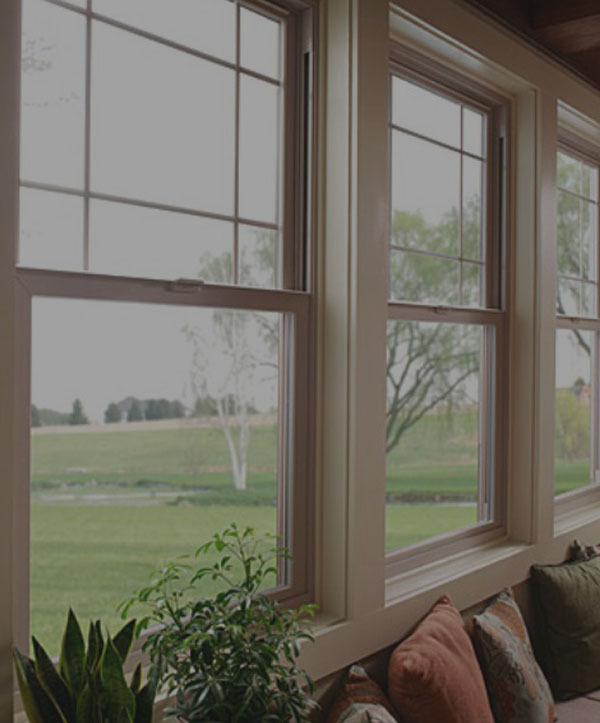 We chose them to be the general contractor for the replacement of our windows and siding. Both sub-projects went very well. We evaluated: Renewal by Andersen, Marvin and Lifetime. Scottish (windows by Mezzo/Alside; James Hardie siding) were cost competitive, well managed, timely and excellent work quality. Do note that residing your house will involve lots of other details: In our case, replacing cable, phone, conduits and many additional other details. I did that work, and Scottish did/managed the rest. I would highly recommend Scottish Home Improvements. They were knowledgeable, professional and courteous. My house looks brand new and I am very pleased! Thank you for everything! Looking forward to getting my shutters! I have rarely seen such professional workmanship. I am extremely happy with the results. I would recommend this company to anyone. Thank you so much! Scottish Home Improvements did an excellent job on my Hardie siding job. I had them do my siding, soffit, fascia, and gutters. The entire team did an excellent job from start to finish. 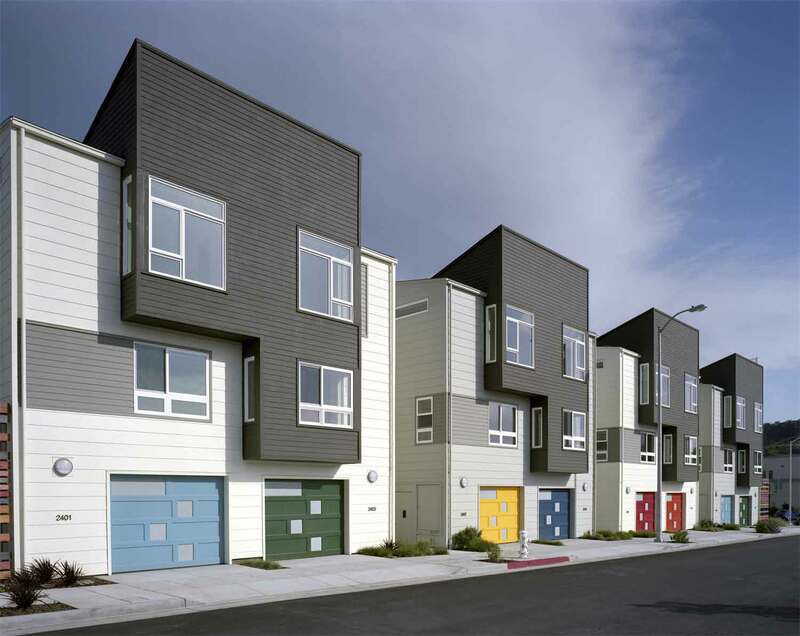 It’s difficult to decide on just one company to install your Hardie. Scottish rose to the top for my project due to a combination of their positive reviews, competitive pricing, and a transparent project manager, Rigo. I really felt Rigo was upfront and communicated well throughout the whole process. The design center appointment was very helpful trying to figure out designs and colors. However, I will warn that the colors on the digital sketches aren’t an exact match and you should definitely use the samples to help you make a decision. The crew had absolutely amazing craftsmanship and I thank them for the job they did! My house looks great after they got done with it. Thanks to everyone for doing a great job! I would definitely recommend Scottish. The final product was beyond our expectations. I was happy with their attention to detail. Rigo was very helpful and was able to thoroughly explain the process. I heard about Scottish Home Improvements from a friend who used their services to do the same type of work. I was most satisfied with how clean they kept the job site day in and day out. I would like to recognize Rigo and the job foreman for their exceptional service. The job foreman goes by Shorty. Working with Jim Archer, and Scottish Home Improvements, has been the best contractor and home repair experience my wife and I have ever had. Due to hail damage and many other factors our timeline kept getting changed and Jim was excellent to work with through all of it. The finished siding and gutters look great and we expect no problems. The crew at my house were exceptional- work ethic, attention to detail and kindness. Thank you! We are very happy with Scottish and their professional crew. I would highly recommend them to others. It isn’t often you come across a company that is so very accommodating and patient enough to meet your needs and expectations to assure you are completely satisfied! From beginning to end of my home remodel, my Sales Manager and construction crew did just that! Their work ethic, attention to detail, dedication to timelines, has turned my ordinary home into a work of art! Specifically, I want to commend Rigo Melara (Senior Project Manager) and my crew Rigo, Rolando, and Armando for a job well done! Do not hesitate to call Scottish today!!! Scottish Home Improvements was an extremely professional company, very accommodating, and did a beautiful job. The cost was exactly as quoted. This was a very pleasant experience. Most satisfied with the communication and the quality of the installation and siding. They prepared sample boards in advance to help us with our color choice, and we were very pleased with the finished look. Highly recommend SHI for Hardie installation. Rigo is the project manager and ALWAYS available. End product is beautiful and although they are a little more expensive than the other bids, I was willing to pay extra as the reviews are stellar so knowing I am not going to have any issues is worth the difference in price. Very happy! Ask about the 45 degree angled trim atound the windows!! This is the only company that offered it and it really adds a touch of elegance to the look of my mtn home! Thank you Rigo and Ervin! Highly satisfied with all the work performed by SHI. The crew was prompt and kept us informed of everything going on. They cleaned up the exterior of the home daily. Excellent quality work by Rigo Jr and Rigo Sr of Scottish Home Improvements. I’ve already recommended them to friends and neighbors if they need any siding work. Rigo Sr and his crew were fantastic. I really enjoyed the work he did. Working with Rigo Jr. was good and the sales rep was good to work with also. I was most satisfied in terms of their efficiency, how they got the project done, and how nice the crew was. I would like to recognize Rodrigo, the project manager, for his exceptional service. He did a great job. Rigo and his crew did a great job with our siding project for our garage. He provided a detailed estimate, answered all our questions, and promptly scheduled the project. They finished in less than the estimated time while doing high quality work. He walked through with us at the end, explaining the work they had done while providing warranty information. I would gladly rehire him again and would recommend him to anyone doing a siding project. The company, installers and Jim were absolutely outstanding! If I could hire them to do every home improvement job I had, I would. I could not recommend them highly enough. Jim Archer did everything he said he would, stayed in touch with me throughout the project and was present every week to make sure everything was going well. I can’t speak highly enough of him. Excellent sales person , Jeff, who took many hours to help us find the right solution for our siding. The site manager, Rigo, kept us informed and made sure everything was done right all along the way. Overall a first class company which delivers on their promises and does good work. Follow up is very good..very courteous and professional. Jim is awesome! I couldn’t have asked for a better experience than I had with Scottish. The design center where they we able to show me exactly what my house would look like was spot on, except that my house ended up looking even better. Jeff Gordon was my project manager and was exceptional and professional throughout. I have an old 1944 house, so he put Rigo, one of his most experienced and talented, on the project. Rigo is a true artisan. His attention to detail is amazing. He would make these amazing recommendations that I would have never through about. And, he is super friendly. I can;t say enough about how extremely satisfied I am with Scottish Home Improvements. Well done! The personnel was easy, nice and accommodating. That was the most satisfying part of the job. Rigo Jr. and Rigo Sr., were wonderful to work with! Rigo Melara, Dianne Sellner, and the crew that installed my new siding should all be commended! Rigo Melara is the best – a salesman/project manager with extensive construction experience. He was able to tend to small tweaks at the end himself. (My brother has a siding business in the Washington DC area and he warned me away from “any salesman who’s never held a hammer”. Rigo is the opposite. Knowledgeable and clearly dedicated to making sure I’m happy with the final result. I’ve gotten several compliments from neighbors on the finished look. Rigo’s willingness to accommodate small changes on trim and gutters. Never any sense of being nickel and dimed by adding some small charge. Rigo’s intense interest in making sure I was happy with the result. Also very pleased with the ability to look at siding & trim combinations on the computer to decide what to do. I made a major decision about the back of the house (use body-colored trim instead of the darker trim color used elsewhere) because of this. I imagine that without this, I would have gone with dark trim all around and been disappointed when I saw the result in the back. They did a good job, they were timely, and did good quality work. Rigo was one of the most courteous, professional and respectful vendors I have ever worked with. He is a very valuable employee to Scottish Home Improvement. I was most satisfied with the communication of the project. The project manager thoroughly communicated each part of the process, all costs and timeline very well. There were no surprises and that’s rare in construction! The project manager and crew listened and did quality checks of their work. I can’t say anything bad about them because they were totally awesome. I have already referred a friend that lives down the street from me. We had a great experience with Scottish Home Improvements for our siding project. They are very professional and provide quality work. We will use them again on future projects. Rigo is wonderful to work with! Extremely professional and very customer oriented. He always kept us up to date on status/progress. Major home improvement projects are never easy. Rigo always stayed on top of any deviations to plan and communicated and worked closely with us….we never had any “surprises” due to his excellent project management and communication. We knew we could contact him any time for any questions or issues. He always took care of our questions / concerns immediately. Scottish Home Improvements did a beautiful job. Jim Archer also was very accommodating of my unusual requests to add attic venting and thicker foam insulation under the new siding, and found ways to make it work. The construction crew operated as an efficient team, they all helped each other out to complete the job well and on time. They did a fabulous job! They were so wonderful, helpful and professional. I was so impressed with the work they did. Scottish was fantastic throughout the entire project! My house looks beautiful again and I love it! The workman ship was and is perfect, all installation is perfect and the job site was keep clean and ready for the next day. All workman came on time and did a great job. I will use this firm for all that I can in the future. Thank you very much for an overall pleasant experience with a contractor. We’ve had much less enjoyable interactions with other contractors, and it is very refreshing to work with a company that is as committed to excellence as Scottish is. Thank you for making our home look so nice on the outside! That has inspired me towards other home improvement projects. I had a lot of workmen and they were the most courteous and friendliest people to work with. They went beyond to help me get things done. I did not have a clue of what I was getting into but they explained everything. What I liked was that when I called they called back. They were also there when they said they were going to be there. Scottish Home Improvements exceeded all of my expectations. The house looks beautiful. I was surprised at how accommodating Scottish Home Improvements was throughout the project. I was most satisfied with the staff and crew. Joe, my salesperson, was extremely professional and willing to do whatever was needed. Rigo and his son were accommodating and did a great job on the installation. They made sure they were doing exactly what we wanted. Jim, the project manager, came by everyday to make sure everything was being completed to my expectations. I was most satisfied with Scottish Home Improvements because of the professionalism from the sales, the project manager, and the installation crew. I have had numerous neighbors comment on how nice my home looks now. Several of my neighbors feel like they need to do the same thing and that my house has now caused the neighborhood to look bad even though it is a great neighborhood. I was most satisfied quality of the workmanship, and the design. All the people, from Sandy, to Jim, to the crew. All were courteous and professional. Jim Archer and all the guys who worked in the snow and the cold to get the job done. The siding looks amazing. What a transformation! SHI was a true pleasure to work with. They were understanding and patient to all of our needs and concerns through out the duration of our project. Most of all they understood the importance of communicating with us which made everything progress very smoothly. I would recommend SHI to anyone in need of work done on their home. Area Of Satisfaction: communication and quality of work that was done on the house. They went above and beyond to make sure we were satisfied customers. I am extremely picky when it comes to contractors and overall workmanship, and I have nothing but good things to say about Scottish Home Improvements. I would not hesitate to recommend them to my friends and family. Thanks for the great work Scottish Team! I was most satisfied with the constant communication from our Project Manager and the attention to detail of our siding crew. Great job on both accounts! Jim Archer and Rigo – you guys are rock stars! Overall great experience. Their service, communication, and finished work were above and beyond expectation. Area of satisfaction: The finished product, communication, quick rectification of minor issues, and the desire to please us as customers. All of these and more made the experience more than satisfactory. Recognize Excellence: Rigo Melara. He went above and beyond to make sure everything went as planned, and that any concerns of ours were immediately addressed. His professionalism included excellent communication and responsiveness. His ability to address and fix the minor issues that arose was effective and much appreciated. In addition, his knowledge and recommendations during the project were spot-on and very helpful.Raul Chavez and his amazing crew. From demo to completed siding, the care and craftsmanship/workmanship was stellar, and we couldn’t be happier with the result. They made the experience very pleasant. Also, several of our neighbors went out of their way to praise both the workmanship and the professionalism of the crew. These people are simply the BEST! The crew were true craftsmen. The installation crew – they were very professional in every detail. I will use you guys again. The crew, Rigo and Armando were just outstanding. What an efficient team. Their attention to detail and perfection resulted in a beautiful makeover of our home. They were so nice to have around and I had complete confidence in their workmanship. Rigo’s positive demeanor and patience with all of my questions and concerns made it a pleasure to work with. We are planning to side our barn with James Hardy and will ask for Jim, Rigo and Armando. Areas Of Satisfaction: The pleasant and professional Project Manager, Foreman and crew. *The attention to detail and quality of work. *Our beautiful, newly remodeled home! Recognize Excellence: Jim Archer,Rigo (project manager)Armando(crew)BRAVO guys! You did a fantastic job! Everyone I worked with from every level was fantastic to deal with. For example my interactions with the work crew (Carlos, Raul, etc.) were fantastic. I would mention something and they were very receptive in making sure I was happy with the end result. Super nice guys. Siding came out great. I was satisfied that they got the job done timely. They probably did more than was in the contract. I would like to recognize Sandy, Alex, the foreman, Jim Archer and Joe, the salesperson. We’re very satisfied with the way our siding project turned out! Joe explained all the options very thoroughly, and Rigo was always nearby to check on the progress from start to completion. Ivan and his crew were pleasant, neat and efficient, and the work was completed right on schedule. All major home improvement projects should flow as smoothly as this one did. We would highly recommend Scottish to anyone looking at a project of this nature. Outstanding! I generally dislike working with anyone in the construction industry. To write a review of this type is not normal for me.When I embarked on my siding project, I worked primarily with 4 different vendors. As for price, some came in ridiculously low. With some coaching on what to look for, I could see why. Others came in crazy high and were offended to learn that I was looking at other vendors. Isn’t that what we’re supposed to be doing? So the price with Scottish came in right at the middle. That said, I believe the value per price was a steal. Nobody is doing the quality work in my neighborhood like Scottish is. Our area was hit by very hard hail last year so there’s plenty of construction going on to compare.The sales cycle is nice and professional and low pressure. The Project manager is a stand up fella who does an amazing job. The one I worked with was fluent in English and Spanish and college degree educated.The crews themselves have been with Scottish for a long time and their craftsmanship and skill-set is easy to see. I enjoyed the sales experience. Joy does have that “soft approach”. The design crew did a nice job.Rego will bend over backwards for his customers. Rego was all over it.To be blunt and reveal my own lack of education, it’s wonderful to work with a PM who is fluent in both English and Spanish. Again, Rego would do anything to make sure his clients are happy. Give him a raise. A big one. Jan was very personable, knowledgable, and helpful with our color selections. She felt like a friend. My lead installer and project manager were father and son. They were both named Rico. They were very personable and helpful. I can’t say enough about the whole team. My installers helped to hang the lights, attach the hardware for the shelves, and painted above the windows upon request. There was no crabbiness. Scottish Home Improvements has excellent people. I was most satisfied with the finished product. The ending was perfect. Jan, Rico, and Rico went above and beyond. I plan on writing a personal thank you letter to Scottish Home Improvements. Did not fall short in any area. We were completely satisfied in all areas. There is no one I dealt with at Scottish Home Improvements who did not provide exceptional service. In 28 years of involvement in the commercial real estate business, I have never had the opportunity to work with anyone as professional and as outstanding at his job as our project manager, Jim. I thought Scottish Home Improvements was very professional, their staff was very pleasant, and courteous. They worked in a timely manner, I was very satisfied with the work. I thought that the supervisor, Rico was very professional and very helpful. He made sure everything was done; he was very good at being informative and explaining things to me as they were done. I was most satisfied with the completion of the project. My home looked like a new home. I would like to recognize Rico and Louise. They were very professional and courteous. I felt the crew was very hard working guys, they deserve a pat on the back. They are great working with the customer and providing a great product and workmanship. 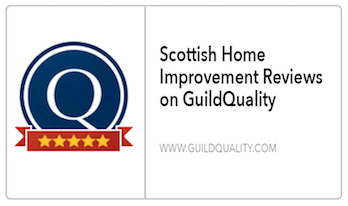 I was most satisfied with Scottish Home Improvements’ customer service and professionalism. I’d like to recognize Rodrigo, our project manager, Sandy, the receptionist, and Joe. Rodrigo made sure he was in constant contact with me and was extremely good. Area Of Satisfaction: We liked the quality of the product. We liked the design and how they implemented it. Recognize Excellence: I would like to recognized the team leader Raoul. Our project manager was top-notch. He was always one step ahead, ensuring all aspects ran smoothly and troubleshooting before anything became an issue. It was such a relief knowing he had it all under control – and really ensured it was a worry free project for us. Construction crew was extremely professional and tidy. They were efficient and friendly. Very hard working and focus on getting the job done right, not just done. Scottish Home Improvement is an A+++ company. They are able to communicate clearly, so there was complete understanding of our needs and wants, and project expectations. The project manager was always one step ahead of us, troubleshooting when needed and ensuring a worry free project for us. The crew was focused on getting the job done right – and not just done. They were efficient without rushing and maintained a clean work space. I highly recommend Scottish Home Improvement. Worth every penny. They exceeded every high expectation they set for us. The staff at Scottish is excellent in terms of communicating, project delivery, and customer satisfaction. They were patient as it took nearly two years from our first meeting to our decision to move forward with the project. Never once did we feel pressured. Our project manager was always communicating where the project was at – especially during weather delays due to rain. He continued to check in to see if we had questions or concerns. They were clear on what they would deliver in terms of project and customer satisfaction – and they more than delivered. Rigo, Irving and the crew, Joe and Sandy. A million thank yous to each!! I want to thank Jim Archer and his entire team for all of the quality service they provided us. My house looks incredible, and we have received so many compliments from our neighbors. Jim Archer and his crew were very polite and their attention to detail is very much appreciated. Communication – We talked almost daily about the progress of the project and were able to address any questions or concerns quickly. From sales to project management to construction, Scottish exceeded all our expectations. All were great! The final product is fantastic! I was most satisfied with how Scottish Home Improvements stayed in touch with me and stayed on top of the job. Joe, the salesperson, did an exceptional job. They were very easy to work with, and extremely helpful. I could not be more satisfied. They did a very good, professional job. The finished product looks great! Joe was helpful, Jim was very good and interested in my satisfaction. rico, was a very knowledgeable, and understanding. All three of them were wanting to satisfy, and very understanding of my needs. Proud of my decision to use Scottish and believe it was an exceptional job well done. my house looks fantastic. the exterior of my home is basically worry free for many years to come. I felt most satisfied with their reputation as our relationship started with an accidentally broken Iphone screen which ironically became a trust building experience! Rigo JR the project mgr. and his team. they worked 6 days a week, starting daily at 7am sharp to stay on schedule. Couldn’t have been more pleased with their level of effort. The team was awesome. Our house had the original panel sididng from the mid ’70’s, and was beginning to weather poorly. After getting several estimates, we met with Joe and immediately felt a level of comfort with the process and the price. They were very helpful in directing us in the color design, and did a great job on the installation and cleanup. We knew the installation was a bit rough on the workers, because of a snow storm that moved in during the installation. They were very professional, and did a great job of cleaning up.In the end, our house looks awesome. We have received several compliments from neighbors, and have been told that it looks like a brand new house!Thanks again to Joe, Javier and Ivan!!! From the first phone call to the last bit of painting, the entire Scottish team was courteous, professional, and competent. What few issues arose were taken care of immediately and without any arguing or unpleasantness. Even though we are geographically distant (about 65 miles away from their office), if we needed something they sent people down immediately. The result is a completely different look and feel to our home. 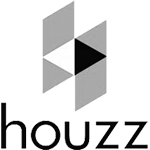 We would use Scottish Home Improvements again without hesitation. I appreciated the staff’s attitude – from start to finish it was one of cooperation and a genuine concern for getting the job done correctly. The fact that the crews would find problems that I had missed and fix them, as well as suggesting things to make the outcome better at no cost to me but more work for them tells me that Scottish is interested in doing what’s best for their customers. Recognize Excellence – Oh, where to start? !Kim, Sandy, Joe, John, Javier, Ervin, Mason, Justin, and Robert come to mind immediately, but I thought the entire crew (both windows and siding) were exceptional. Scottish has managed to assemble a great staff! Their attention to detail was great. They fixed any issue we could find. Everyone at Scottish Home Improvements did a good job. They did so many extras that weren’t originally included. I am ecstatic, and very pleased. I was most satisfied with their friendliness and courtesy. I would like to recognize Heidi Wilson, Jim Archer (project manager), Jim Archer Jr (gutters), Rico Melara, and his helper. I am very pleased. They were all wonderful. I can’t say enough about the awesome job they did. Jim Jr, relocated the downspouts to a new location, and I am super impressed. Scottish Home Improvements came out to look at my situation, and do the measurements. They had everything down to the letter. They had to do two different quotes because of the flood damage insurance. It took time to pick out the products, and they were very patient. They helped me make choices. The work itself is fantastic! They sealed off the house, and included unexpected extras to make my house awesome! Everything was listed in detail of what would be done. I am so impressed. They were all very professional, and I am very excited about everything they did for us. I have told different people about them. I am so impressed. You installed Hardie siding on my house last year. After the big hail storm on 9/29, everyone in my neighborhood needed roof repairs and my next door neighbor has swiss cheese for wood siding on his west wall. My Hardie siding came through without a scratch. I am very pleased to have bought this product and worked with you. The look of the finished product was even better than expected. They made sure to check with us at every step of the project and made great suggestions for improvements in the look and design. I really liked working with Rigo he was very respectful and easy to approach. The entire team deserves recognition. But Rigo was especially great. We were most satisfied in all areas of our experience. Heidi, our Design Consultant, obviously enjoys her job. Her suggestions were very helpful. She quickly got our Walk Through scheduled. Twice she met with us on her day off because those were the best days for us. We really appreciated that. Jim, the Project Manager, came every other day and some times two days in a row. He always asked if we were pleased with the work and if we had any questions or concerns. We had none. Rigo did an excellent job of siding our house. We are very pleased with the quality of his work! He seems to be a perfectionist and enjoyed seeing how happy we were with the job he was doing. Even the Building Inspector was impressed with the quality. He said that the angles were cut just right and all the seams were tight and that they did a great job of caulking. We thought that also, but it was nice to get an experts opinion. 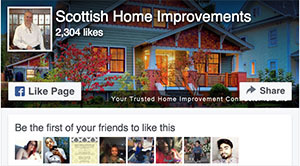 We were very pleased with our entire experience with Scottish Home Improvement. Every employee was extremely helpful. The siding crew did not rush the job. They took the time to do a QUALITY JOB. Over the years we have had companies which have met our expectations. Companies which fell far short of our expectations. But not until now have we ever had a company which far exceeded our expectations. Scottish Home Improvement did that. 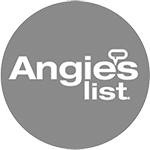 Project manager Jim Archer and Installer Rigo were extremely positive and professional. They always responded to questions quickly and went out of their way to make the installation outcome exactly as we wanted. The job didn’t drag out endlessly but rather was completed efficiently. 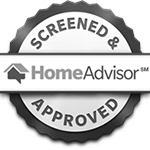 Thank you for providing reputable services to homeowners. I was satisfied by the fact that Scottish Home Improvement’s employees are quality people who do good work. Heidi was outstanding about helping us with design and color choices. The office communications were excellent. Speed was not an issue for us as much as the quality of the end product and that was superb. We had two added work orders and both those were well coordinated. Clearly Javier met all our expectations as far as taking care of any issues and in getting the project completed. Even things they were skeptical about being able to do were all taken care of. The quality and customer satisfaction is beyond our expectations. I couldn’t imagine this being done more perfectly. The response to any issues of detail were taken care of in short order and the work is flawless. WOW! How could this have looked better? That is the bottom line. The crew really knew how to do each of their jobs and it was always cleaned up at the end of the day. I would have been glad to put a yard sign out as we had a number of neighbors ask about who was doing the work and I passed along the information. Your best advertising is a fully satisfied customer and we fall into that category. Erbine, Mason, and Eric were the the real workers and I think they deserve a big round of applause for getting the job done right. Javier was excellent at making sure every detail was attended to with several rounds of fine detail attention at the end. Several others were here off and on and I didn’t get their names but clearly have every confidence in the craftsmanship and reliability of the three lead workers. If you want perfection on your siding, look no further. The quality of the workmanship met and exceeded all our expectations. If you are looking for design concepts, their design specialist was extremely helpful in guiding our decisions. I wouldn’t hesitate to have them back for any job on my house. I was most satisfied with the project manager. He did a great job. He followed up and was on top of everything. Rego did a great job. 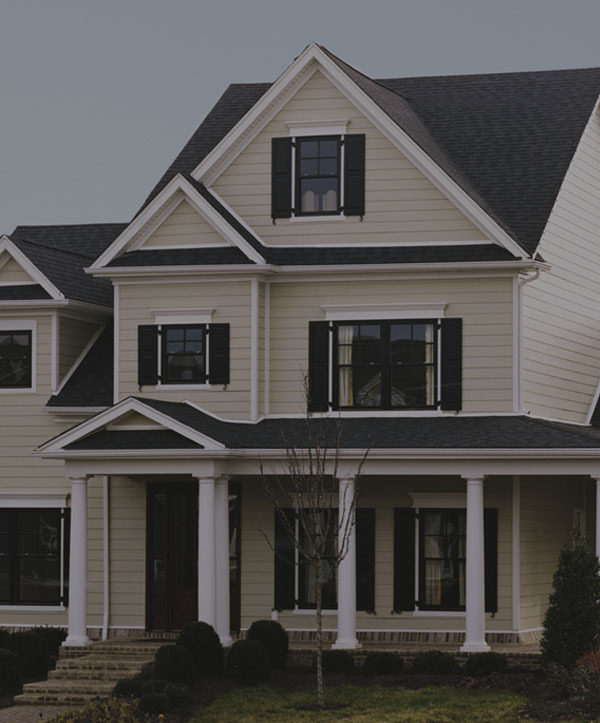 We wish to state that we were 100% satisfied with the performance of Scottish Home Improvements in the recent installation of James Hardie siding on our home. The work was done promptly and efficiently, the workers were courteous, and they cleaned up the work site at the end of each day to our complete satisfaction. The new siding was painted with professional quality and the job results are beautiful. Thank you for your attention to our needs. We will be happy to recommend Scottish Home Improvements, and to employ them for our future needs. Scottish Home Improvements completed a challenging job in a very timely manner. Both Joe and Javier were great to work with. Sandy was also very friendly and professional every time I called. Using pictures of the house and then showing how it would look with different colors and trim was very useful. All were exceptional, but the lead worker, Alex (sp? ), was on the job every day and did not hesitate to ask how I wanted something done and was able to offer better solutions when needed. He is a very hard working young man! Our house looks so much better now. Thank You! The guys who did the siding went out of their way to do an exceptional job. One of them even built a bird house where birds had nested in an old hole on our roof. I was very impressed with that. The two guys that did the siding were great. The construction manager Javier did an exceptional job. Everyone we worked with was very good at proposing design solutions every step of the way. The lead installer, Rigo, was particularly good at coming up with creative solutions to detailed design work. He was also pleasant to work with and very conscientious. Scottish Home Improvements was professional. They had great follow through and always followed up with me. Heidi, our salesperson, and Jim, our project manager, were both excellent. -Joe Croke really took the effort to make sure that we were taken care of. -From the staff in the front to the management there was a clear path of communication as well as an effort to insure we were kept in the loop. -Jim was very professional and courteous. He met with us on a regular basis to make sure that he and his team were exceeding expectations. -I really liked the communication. I felt we were given clear instructions on how the installation would take place and notified the minute changes were made to the plan. Hiedi is very helpful. From the crew, two guys really stood out. I (cannot believe I) forgot the first guys name, but he is from Mazatlan, has been with the company for many years, wore a blue fleece jacket most of the time and kept everybody lined out and running smoothly. He was at the project the entire time, and he is FANTASTIC! Bruno was also great. We really can’t imagine a better experience on a home improvement project. This was NOT a small project. Everything was done in a professional manner and the people were great to work with. We are still amazed at the quality of the work. Quality of work. It really is as close to perfect as humanly possible. Juan and Vito did an excellent job installing the siding. Joe was great to work with, gave us lots of choices. Juan and Vito were awesome. They answered my questions, fixed things that “bugged” me. They took the time to do the job correctly and it shows!! !They also went above and beyond when they helped me with a gas leak in my stove!! A huge thank you to both of them. Joe’s professionalism, Megan’s creative approach to color and style, Javier and Raoul’s hard working crews. All the people were really nice and professional. The guys who put on the siding were really hard working and nice. The lead team member (I think his name was Ivan) came out to the site where the guys were putting on siding and made sure it was done right, and he answered my questions. The two guys who did the siding (I think their names are David and Enrique) were very good. They worked hard. They didn’t do a lot of detail work, but I thought they worked hard and were really good. We love our new family room space. 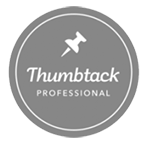 The remodeling process is challenging but any concerns we had were addressed in a timely manner and to our satisfaction. Jeff Noblitt was great to work with. He kept in touch with me on a regular basis and made himself available to answer all my questions and address all my concerns. They did a good job and I would hire them again. The installation guys were very professional and good to work with. I was very happy with them. I was most satisfied with their responsiveness to my concerns. Raul was great. He was the Project Lead. I was most satisfied with the crew. They did a very good job and seemed to take care of things I was concerned about. It was always assuring. Enrique, the guy who did the siding, provided exceptional service. We knew that getting work done on our home would be a very hard job due to having to haul materials and equipment up and down the mountain and work around our many animals. Not only did they do an outstanding job on the windows and siding, but I never heard any complaining about anything. I was especially touched by the little bird house that was built by one of the workers for some little birds that have nested in a small hole on the side of the house that was caused from a former owner’s satellite dish. That was definitely going above and beyond what was expected. Once again, I was to personally thank the crew for the incredible job that they did on everything. I am so happy with everything and so appreciative of their craftsmanship and professionalism in everything they have done to help preserve our older home for future generations. Heidi was outstanding because she didn’t make us feel like it would be an impossible job to complete the improvements on our home due to it’s age, the terrain, and having to work around the animals. The window and siding crews were outstanding because they never complained and they went above and beyond to complete their jobs with excellence. We can’t remember their names, but the siding guy that built the little bird house and his brother. They even worked on Father’s Day. Heidi was exceptional because of her knowledge of the products and because she reassured us that the work on our home wasn’t an impossible job. Both Javier and Ivan were great in coordinating everything. The window guys put in a beautiful 8 foot sliding glass door that we absolutely love. Friendly,staff,John Hardy products are of good quality, looks great,product painting was well done. Jim Archer senior project manager,he was very attentive. We were very satisfied with Scottish Home Improvements. We have nothing but positive things to say and have already recommended Scottish Home Improvements to a few people. I was most satisfied with the design. They came up with a design that we did not think about. I was also satisfied with how quick they got in and got the job done. They exceeded my expectations in every way. Jim and Heidi were phenomenal to work with as a team and individually. I was most satisfied with the guys who did the installation. They were short handed and they still did a good job. They were hard working. I think that it was Enrique and David. I would like to recognize Ivan because he was very good and considerate. He was the crew leader. They were very accommodating as far as schedule and they were patient with the process required to work at a church. Joe was great to work with in the bidding process. We are very pleased with the work and the quality of the product and installation. Plus, the people were very helpful, knowledgeable, professional and friendly. In addition to a very professional manner and outstanding job on the siding itself by the crew, Scottish was always very fast to respond to any questions or requests that I had. Everything was accomplished exactly as stated, on time, on budget. If you want a low-hassle no-hassle siding experience I would recommend Scottish. Joe was accommodating to my financial needs and worked with me through the process. I will call Joe and Scottish Homes again when I am ready for another project (Sliding Doors). Working with Joe and Javier was a pleasure. I am extremely pleased with the process and the finished product. I have nothing to say but good things about Scottish Home Improvements. As someone who once built homes for a living, I am picky about the quality of work I expect. To a person, from design through implementation, everyone at Scottish Home Improvements was friendly, upbeat, professional, and great to work with. Quality of workmanship and good working relationship with Heidi, Sandy, Javier, and Ivor. Scottish Home Improvements are very professional and went beyond my expectations to make sure everything was perfect. They did so many little extra things for me throughout the process that were not written down on the original project plan. Everyone did an outstanding job and were very helpful and respectful. I have already recommended them to many people. 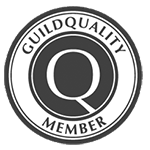 I am very pleased with everything they did- it was an truly outstanding experience. I was affected by the flood that we had in Colorado. I was most satisfied that in the beginning of the project, they went over everything in great detail, listed everything they were going to do, and answered all of my questions. I was very happy that they repaired anything along the way that they noticed needed to be fixed. Scottish Home Improvements is an absolutely fabulous and outstanding company. Jim Archer was always available to handle whatever unexpected complications that arose with a hard-coat stucco job performed during the winter. The quality of the finished job was superb and the price was OK too! The installation crew was every attentive to our overall look of our house. They made adjustments in their installation to work around our porch railing. Scottish Home Improvements were great to deal with. They listen to our needs and concerns. The worked to get specific design elements incorporated into our house. They took extra care to ensure that we were satisfied with their work. Thank you for a very nice job on my house siding! Everyone I met at Scottish and working with the job was professional and very nice to work with. The work was done just as described and in the time frame. Any requests were met with a smile and done well. I’m very pleased with the workers and their results. I was most satisfied with how they were responsive. When we first contacted them they responded right away. They gave a detailed explanation of what they were going to do. The quality of the work was excellent. I would like to recognize the project manager and the salesman Joe for their services. If I ever need them for another type of job I would not hesitate to contact them. I would like to recognize everybody, They were all good. Joe, Helen, Javier and your designer (Megan?) were all great. So friendly and flexible. This is the largest home improvement project I’ve ever done and I felt like your team could be trusted to do things right. My in-laws are working with your team as we speak. Can’t wait to see how that turns out. We may have to bring the Scottish team back out sooner than planned if that turns out like I think it will! I was most satisfied with the entire project overall including all the follow up from beginning to end. Anything that would have gone poorly or when we had any issues they fixed them immediately. It could not have been a better experience. I would like to recognize Joe for his services. We enjoyed working with everyone from start to finish. It helped to have the design rendered on the computer to get an idea of what the final product would be. I knew we would be happy with the choices we made and that things would be done right. I was satisfied with the overall look, it’s 100% better than what it did look like. The foreman provided exceptional service, the guy that was in charge. I was most satisfied with the construction crew’s professionalism. I would like to recognize both members of the installation crew at Scottish Home Improvements for their exceptional service. We want to express our appreciation and compliments for services provide in installing Hardie Plank on our home in Bailey. We sent you a letter of appreciation last year for the work your crew did on the south side of the house. This year we were a little concerned when we could not get the same crew to finish the other three sides. However, our concerns were unwarranted. Rigoberto Melar and his crew, Amando and Mlorian did an excellent job finishing the other three side of hour home this year. The crew was professional in every way and the finished job bears witness the the quality and expertise of their good work. It was a real pleasure working with Rigo; he was a thoughtful and efficient supervisor. All of the other employees related to our job were helpful, and a pleasure to work with including Heidi Wilson, Jim Archer and Helen Daniels. We appreciate the quality and excellence of your company, as evidenced by all of these great employees. Thank you!! The workmanship was outstanding and the project looks great! I really am impressed with the quality of work and the attitude of the employees at Scottish. They conduct their business in a professional way that is great to see and hard to find. From start to finish the boys of Scottish where a joy to work with. The workmanship was top shelf! The workmanship and on site supervision at Scottish is superb. In my opinion they are the best in Colorado! Scottish Home Improvements applied James Hardy siding on our forty-five year old home. The house was transformed from a very dated exterior to one that is durable, eye-catching, and beautiful. Neighbors have gone out of their way to stop and comment on the project. We have also had several contractors send potential customers to see the impact of the siding and the quality of the work. The crew that did the work was reliable, hard-working, efficient, and friendly. The crew chief was responsive, considerate, and respectful. As a result of this investment, our home is set for life. 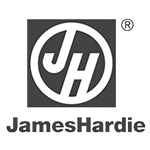 We highly recommend the James Hardy siding product and Scottish Home Improvements as a quality installer with high integrity. I had no choice to replace our siding because of year-round woodpecker problem. One day, I was chatting with one of my neighbors recently completed their siding by Scottish – their house looks outstanding (best looking house in our neighborhood). Alan, Sales Representative, was very friendly and courteous. 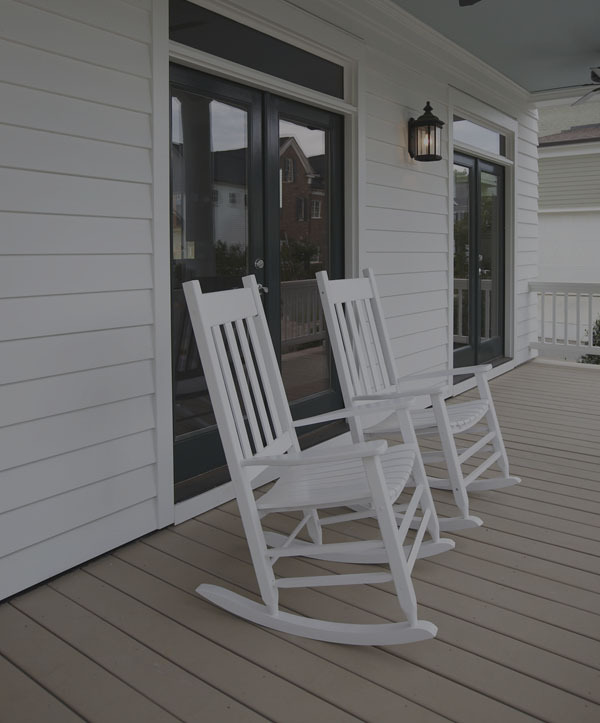 Most of all, I was impressed with his knowledge about the product – James Hardie. In addition, his suggestion about replacing the windows made our house shine in our neighborhood. I always had a dream about having a French door in my living room and escaping to the backyard deck, Alan & his team made my dream come true. I’d like to take this opportunity to thank all of Scottish’s employees, Helen, Jim, the crews for devoting to my long-listed home project from siding to windows and doors………not to forget “new deck”, soon to be completed. Working with Scottish Home Improvements was a joy. Alan was thorough and fair, the crew arrived on time and finished the work ahead of schedule. Everyone involved showed attention to detail and a sincere concern about our home. I highly recommend them for any project on your home. I cannot begin to tell you how happy we are with the work by Scottish Home Improvement. We were extremely nervous about the extent of this face lift to the exterior of our home, but your no pressure knowledgeable sales provided us with valuable and comprehensive information to make our decisions as if we were the experts. their recommendations to the look and style during construction. We have no doubt we made the right decision in signing on with Scottish Home Improvements. Thank you so much for your help on my windows. Not only was the job done right, but I was impressed with the fact that it was completed on time. My house thanks you to, as it is much warmer now! Should you ever need a referral please feel free to use me. Your kindness may seem simple to you but it meant everything to me. You listened to me and provided me with all the niceties I wished for – faucets I can turn on and off, lots of cupboards in the laundry room and in the bedroom (which you turned into an office). You herded, wrangled, shepherded. You made sure it all happened, and now – your adopted mom has a beautiful, functional home for her advancing years! Thanks again, & again, & again, & again! Edward and Scott were great pleasure to work with. I continue to hear from homeowners on how professional your workers are, and what a superb job you did on the siding project. Thank you guys for a job well done! You guys went the extra mile with finishing touches and details I did not know existed or expected. I would most certainly seek out Scottish Home Improvements for any other home improvement needs. Not only was I extremely satisfied, I feel as though I am a more educated consumer after I met with my salesperson and the installation team. The crew is an asset to Scottish Home Improvements and represents their standards of work and product very well. Again, Please extend my thanks. I’m very pleased with the product used in the residing of my house. My house is 30 years old and my friends think it looks new again! I re-sided my house because I had an issue with Northern Flickers making holes in the original cedar siding, and to date, I have not seen a flicker since the new siding was put on. The workmen that applied the siding were professional and always answered any questions I had. The work performed was of excellent quality and dealing with the entire staff at Scottish Home Improvements was a pleasure. We are completely happy with the experience and our “new home”. Thank you so much for the outstanding work that was done on our home. It looks better than we could have imagined. Edward, was a great supervisor, coordinator and we very much appreciate the attention he gave to our concerns with the immediate responses. Heidi was a very informative sales person who was friendly, helpful and always there to see things through. We are pleased that we went with Scottish Home Improvements and we will gladly recommend your company to others. We appreciate all of your attention to detail–THANK YOU SO MUCH. We also want to express our gratitude to everyone connected to Scottish Home Improvements that have made this home improvement such a wonderful experience!! The job looks so beautiful and we are completely satisfied with it. We can’t thank everyone enough–we recommend your company to everyone we know that expresses any interest in having something done–hope we can generate some business for you. I am the Vice President of the Ridgewood Village Homeowners Association Board of Directors in Littleton, Colorado. Last year, I accepted an appointment by the Board to be Chairman of a Siding Committee to explore the feasibility of having new siding installed on all units of our Association, including our swimming pool bath house. Our Committee did a laborious job of investigating each bidder, including the product recommended, the reputation of the bidder, references, etc. After careful evaluation and thorough investigation and research, we were unanimous in awarding the bid to Scottish Home Improvements. From the very beginning of our association with Scottish, absolutely nothing but the very best was encountered. Their quality of work, professionalism, attention to detail, helpfulness, respect, willingness to go the extra step – everything associated with them, was absolutely first rate. Their character and integrity was simply outstanding. I do not hesitate at all in recommending Scottish for whatever job you are considering. I am convinced that we – Ridgewood Village – could not have found a better company. They became not just our contractors; they became our friends. most recent experience with Scottish Home Improvement, I felt it was time. Throughout the process of choosing a contractor, Scottish stood out with their knowledge, professionalism and desire to do the right thing. Once I chose Scottish, I was impressed with those same qualities throughout their organization. Their customer driven philosophy is evident from the laborers to the owner. I would recommend Scottish Home Improvement for anyone looking for a quality job, reasonably priced and customer oriented. We would welcome any inquiries. I’d like to take this opportunity to compliment you, your staff and company on a recent home siding project in Longmont, Colorado. In mid July when I was looking for a company who would be interested in residing my home, I found your website. I used the contact number there and since it was on a weekend I left a message with my contact information. To my surprise, I received a phone call from Joe mid morning of the following Monday. He wanted to set up a site visit which we did for the 26th of July. The work started the next day and move very quickly. The installation crew was great and the foreman worked closely with my wife answering questions and taking care of what needed to be done. The job was basically complete by Tuesday the next week with some minor touch up on Wednesday. The crew was very professional, workmanship, housekeeping and safety were above standard. Please congratulate your staff from us. We would not hesitate to recommend your company to a potential client. It was and is a real pleasure doing business with a company as professional as yours. Thanks again and keep up the hard work in today’s economy. Please share with the Scottish Home Improvement team our satisfaction of business dealings and work performed. It was a pleasure working with Joe and Megan during the initial conceptual phase. Helen, your guidance in dealing with the financial concerns proved to be a key in going forward with the project. We extend our compliments and gratitude to Edward for his professional Project Management and assurance of customer satisfaction. Utilization of Jim’s experience resulted in a creative solution to a challenging problem which further demonstrated the team’s commitment. A special thank you is extended to Raul and his crew for their dedicated efforts through some very adverse winter weather conditions, and their patience as we worked through some issues. Also, thank you to Leo and his crew for the outstanding stone work.